Liz is a founding Administrator at TAPA, co-wrote TAPA's initial Education Plan, and saw the school through its approval process. At TAPA, Liz oversees all aspects of student life, including building TAPA's academically rigorous artistic culture. She was the Adviser to "R-Cubed," a TAPA Advisory that graduated in 2016, all of whom are making her very proud in their post-TAPA lives. 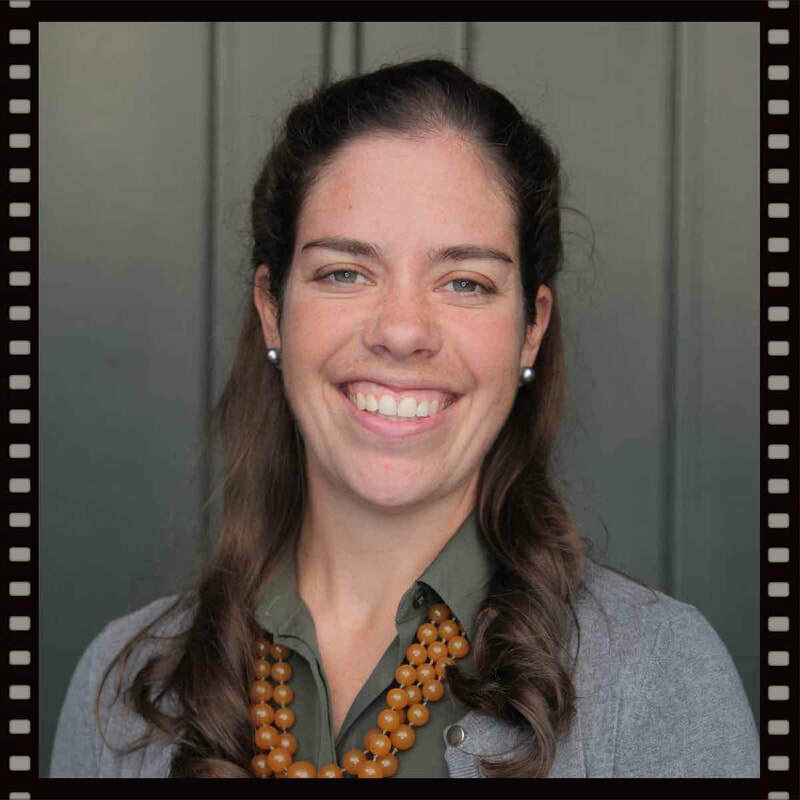 Prior to arriving at TAPA, Liz completed Bachelor's Degrees in English and Education from Vassar College, and a Master's Degree in Urban Education Policy from Brown University. Liz also taught English Language Arts at the middle and high school levels, and worked at the Rhode Island Department of Education. Liz has extensive experience in the performing arts, having served as the manager of a 180-seat black box theater and as a co-founder of a nonprofit community theatre group. Outside of TAPA, Liz was one of the founders of the Teens in Action, the Grace Church youth group, the mom of a 21 year old CCRI student, and a viciously competitive player of team trivia. If you want to learn more about Ms. R-H, check out the mini-documentary that TAPA Film Major Patrick F (Class of 2020) made about her here. Andy MacMannis oversees all support services at TAPA. This ranges from Special Education, to TAPA's Title One programming, to all after-school programming. Additionally, Andy leads data-based decision-making at the school, is the test coordinator for all state-wide assessments, and is one of the school's special educators. Prior to TAPA, Andy attended Providence College, majoring in Elementary/Special Education. While at PC, he worked for the YouthRAP after-school program in Providence. From there, he attended Brown University, where he received a Master's degree in Urban Education Policy. Andy has also recently completed coursework at Rhode Island College and Bridgewater State College in order to obtain his certification as a Special Education Administrator. Andy joined TAPA during it's first year as a math/science/special education instructor, and has been the advisor to "the Mac and Cheese" and the coach for "Star Mole Track" since year one. Outside of school, Andy is a singer-songwriter, who plays guitar and bass. He is also an avid comic book reader and loves to travel! David holds a Bachelor's degree in history with a concentration in education from Rhode Island College. He started his career in education as a College Advisor for Davies High School, then moved on to a Career Counselor for Central Falls High School​. He then put his education to further use and started teaching History at Davies High School. Here he expanded his resume outside of the classroom, adding Staff Mentor Coordinator, Academic Recovery Coordinator and Summer School Director to his many titles. David joined TAPA as a lower school Historical Perspectives teacher in 2014. The next school year, David moved to the Upper School and the Lead Teacher position. He is very excited to be the Dean of Students, where he has the opportunity to use all of his experiences in and out of the classroom in his day to day interactions with students and staff. Outside of the classroom, David loves to spend time with his family, watching sports, being a Freemason and working around the house. Ammar Zia moved to Rhode Island after completing his Bachelors of Arts from UCLA in English Literature and Educational Studies. After graduation, Ammar taught 7th and 8th grade English at TAPA, and also spent summers coaching teachers in Philadelphia, Pennsylvania and Camden, New Jersey. In 2016, Ammar taught refugees internationally in the West Bank of Palestine, completed his Masters in Multicultural Education and Literacy, and published a study on retention and comprehension through an arts-integrated model. Ammar’s experiences led him to take a position with Teach for America Rhode Island as a Manager of Teacher Leadership Development, where he worked to support 25 teachers in 9 schools around Providence, Pawtucket, and Central Falls. Ammar’s identity and experiences as a 1.5 generation immigrant motivates his drive to fight for equitable and accessible eduction for all children—and now— he’s excited to return to TAPA, as the school's Director of Teaching and Learning! Harold has worked in private Schools for over 14 years as a Business Manager, Summer Program Director and as a Market Economics Teacher. He has a B.A. in Russian Language from Southern Methodist University and a Masters of Global Management from Thunderbird School of Global Management. Harold has worked in banks as a loan officer, with a Hedge Fund as a strategist and financial officer, and as an analyst for Venture Capital firms. Harold was born in Mexico City, lived in England, and has worked, lived, or studied on four continents Africa, Asia, Europe and North America. He has spoken four languages fluently at some point during his travels. His first language was Mexican Spanish and he looks forward to reconnecting to his native language. Harold lives in Portsmouth, Rhode Island with his wife Sara and four children. He is a member of the Founders and Patriots of Rhode Island and can trace his lineage on Aquidneck Island to the 1600s.